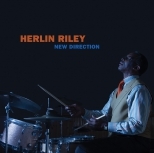 In this release New Direction, he heads a band of young whipper-snappers, who dive into a set list of mostly Herlin Riley originals that run the gamut of styles, but are still jazz-oriented. The title track “New Direction” kicks things off in exemplary fashion with Riley laying down a rhythmic direction that signifies his inventiveness, with pianist Cohen offering an inspired solo, and guitarist Mark Whitfield demonstrating why he was included in this session. 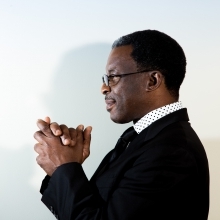 “Spring Fantasy” is a Latin infused number with a bluesy feel, that has some stellar alto work by Godwin Louis. Pianist Cohen also shows some smart single-note playing.